Dialers have been a problem during a long time, even though with the massive implementation of router and ADSL connections this problem has been minimized, but it is also true that there are still many connections that work via modem due to several reasons. So to avoid that our bill rises way above the usual, it's better to use a program like Digisoft AntiDialer. 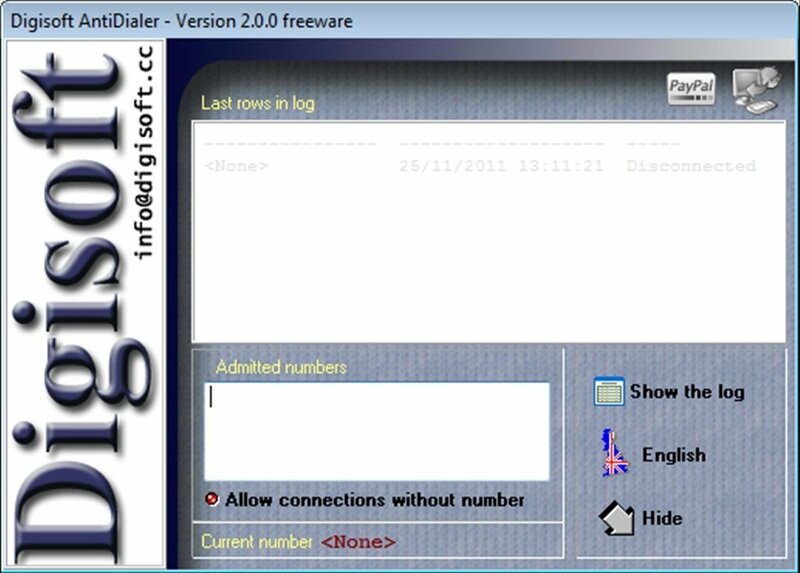 Dialers are programs that have been created to sneak into a computer that connects to the Internet via modem and change the phone number that the modem uses to connect to the Internet. These programs change the number of the switchboard (that is usually local or reduce price) for another one with special pricing (where they make money). But with Digisoft AntiDialer we will be protected from this kind of fraud. 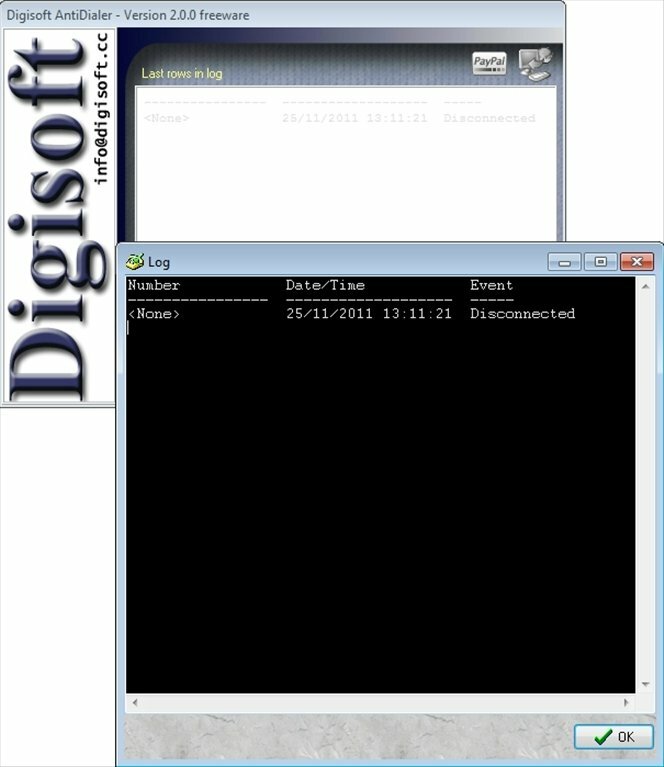 Digisoft AntiDialer works with a clean number list to which it allows us to call. So if any dialer changes the configured number for another one that isn't on any list, it is automatically blocked. 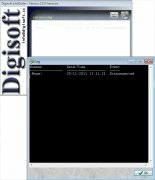 Usually antivirus applications have some kind of similar protection to that offered by Digisoft AntiDialer, but it is always better to have an application that is specifically designed against this kind of threat, because you never know from where they come or if the antivirus detects it correctly.